· Simply eat some basil leaves at the first sign of acid upset. Be sure to chew them thoroughly. · Another option is to boil three to five basil leaves in a cup of water and then let it simmer for a few minutes. You can sweeten this basil tea with honey. Do not add milk, though. Sip it frequently. 1. Add half a teaspoon of cinnamon powder in a cup of water. 2. Bring it to a boil and then allow it to steep for a few minutes. 3. Drink this cinnamon tea two to three times a day. · Grind half to one teaspoon of fenugreek seeds with a little water to make a paste. Mix it in a glass of plain buttermilk, also called chaas, and consume it to relieve stomach ache caused by acidity. · Or, you can simply drink plain buttermilk several times a day until you get relief. Mix in a little black pepper or one teaspoon of ground coriander leaves for best results. · Simply mix one or two teaspoons of raw, unfiltered apple cider vinegar in a cup of water. · Drink it once or twice a day. You can also drink it before meals. · Chew two to three cloves thoroughly so that the juices are released into your system. · Eating crushed cloves and cardamom mixed in equal amounts can help minimize acid trouble and freshen bad breath that often accompanies this problem. · Slightly crush some roasted cumin seeds and stir it into a glass of water. Drink it after every meal. · You can also boil one teaspoon of cumin seeds in a cup of water, strain it and then drink the water after your meal. · Another option is to mix one teaspoon each of coriander seed powder, cumin seed powder, fennel seed powder and some sugar in one-half cup of water. Drink it on an empty stomach. 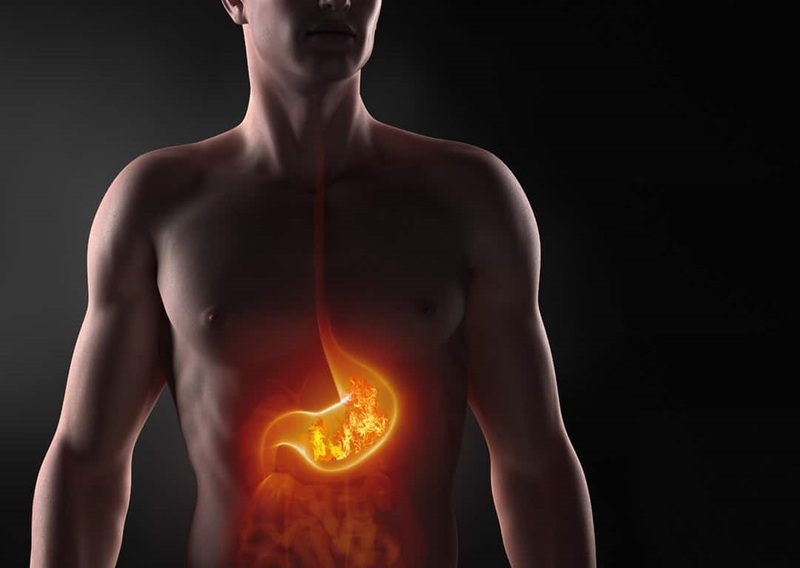 · During acidity just chew a slice of fresh ginger. · You can also put some fresh ginger slices in a cup of boiling water, let it steep for a few minutes and then drink it. · Even a spoonful of ginger juice taken two to three times a day can provide relief from acidity. · Simply chew some aniseed after eating a heavy or spicy meal. · You can also steep one or two teaspoons of fennel seeds in a cup of hot water. Strain and drink it a few times a day.